Home / Student Questions / What is a Hero Essay? Everyone loves a hero so essays about what is a hero can be interesting and even fun to write. A straightforward dictionary definition of hero simply states that this is “a person who is admired or idealized for courage, outstanding achievements, or noble qualities,” and it is reasonable to suggest that everyone knows of someone who satisfies these characteristics in varying degrees. A “what is a hero essay” should provide a concise definition and some salient examples of an individual or individuals to demonstrate these qualities. If you are writing about a historical heroic figure, there are countless resources you can use to describe the individual and why he or she is regarded as a hero today. Some good examples of historical heroic figures include major biblical characters depending on your religious beliefs (i.e., Moses, David, Christ), military leaders (Alexander the Great or Generals George S. Patton and Dwight D. Eisenhower), truly selfless individuals who made a real difference (i.e., Florence Nightingale or Mother Theresa [Saint Teresa of Calcutta]). If you have the opportunity to describe a hero in your own life, though, these choices are can include a relative who has been especially important to you, especially a parent. After all, people do not necessarily have to throw themselves on a grenade to demonstrate heroic qualities. For example, parents who succeed in raising decent children who are prepared to take on life’s challenges by working at jobs (sometimes two or three) they may not like day after day so that their children can attend private school or otherwise have a better quality of life are heroes to many young people. Regardless of the perspective or individual you select for your essay, carefully review the assignment guidelines to ensure that you have satisfied all of the requirements and develop your writing according to the specified format, typically the conventional five-paragraph essay outline (i.e., introduction, three body paragraphs and a conclusion). "What is a Hero Essay?." Aceyourpaper.com. Student Network Resources Inc, 18 September. 2017. Web. 20 April 2019. Student Network Resources Inc. "What is a Hero Essay?." Aceyourpaper.com. 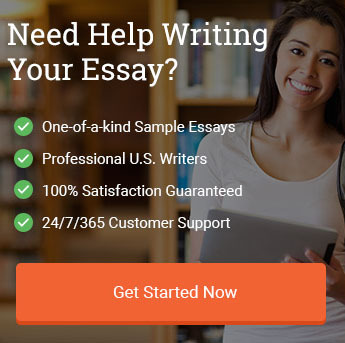 https://www.aceyourpaper.com/student-questions/what-is-a-hero-essay/ (accessed April 20, 2019).